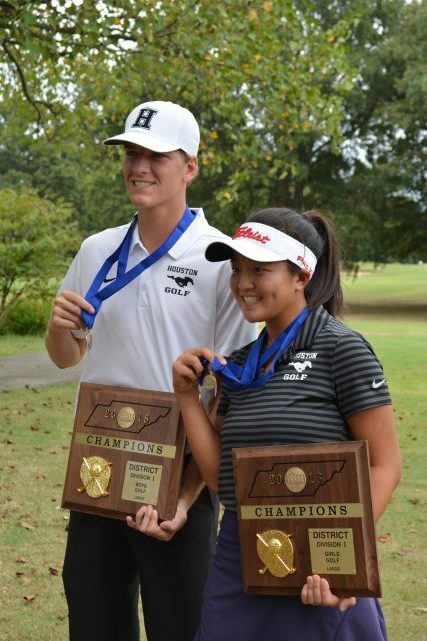 Germantown, Tennessee--September 10, 2018--Both the boys and girls golf teams at Houston High School have won the District Tournament. 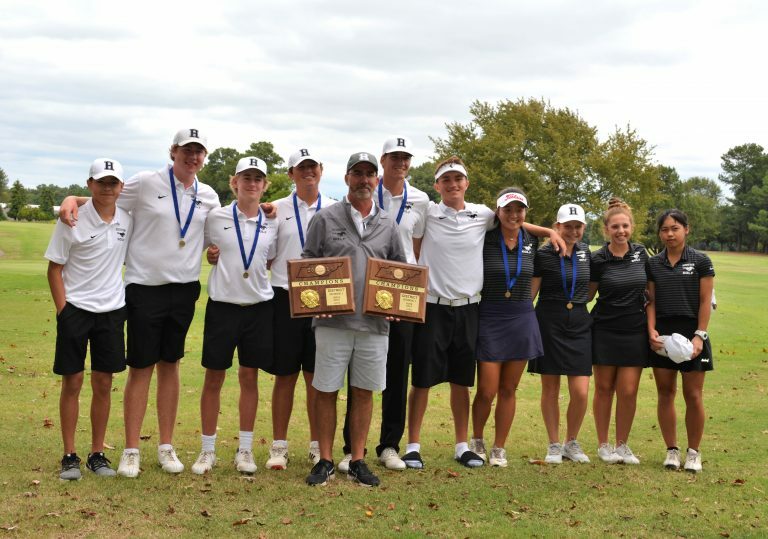 King Grisanti shot a 72 to lead Boys Golf to their 6th straight District Championship for the 6th consecutive year. He won the individual tournament in a playoff. Travis Olsen shot 73 to help defeat Collierville. The Boys Beat Collierville By 13 Shots in a repeat performance from last year’s tournament. Kimberley Tsai shot a 75 to help Our girls to their 4th consecutive District Title. Led By Senior Jayna Choi, Who Shot 67, We Beat Cville By 57 Shots. Her round of 67 follows last year’s winning round of 62. She also holds the record for lowest round in the history of the Girls Golf State Championship with a 64 from her freshmen year.